Sign up for Broadjam today to follow Broken Oaks, and be notified when they upload new stuff or update their news! 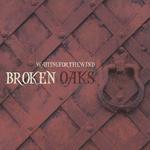 This blend of Faith Based and Celtic Folk music warms the heart and inspires love from 4 member band Broken Oaks, who at one time opened for acts like Trinity and the Wolftones but now has turned their attention to the Gospel message as a result of encountering the Lord. Trying to load a song for a memorial service and cannot seem to get it done.